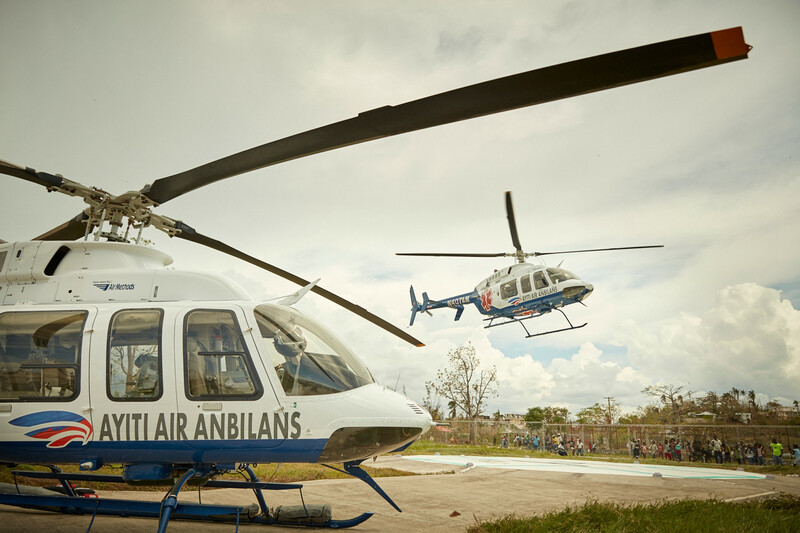 Haiti Air Ambulance is committed to our mission of providing Haiti with world class care. As the country’s first and only helicopter emergency medical service, we are ready to support Haitian medical professionals and first responders at this crucial time. Hurricane Irma is making her way through the Caribbean, coursing the northern coast of Hispaniola, but our team has shored up our base, supplies and helicopters to be mission-ready at the first possible minute in the wake of the storm. After Hurricane Matthew, Haiti Air Ambulance was first on the scene in many of the hardest hit—and most difficult to reach—locations throughout the southwest. We proudly flew non-stop for the first weeks, bringing medical supplies and personnel into those areas and patients out to the care facilities best equipped to receive them. Our crew is dedicated to fulfilling this same mission again. Our thoroughly vetted protocols, communications and systems maintain a safety first focus while providing critical care in even the worst circumstances. Mothers experiencing complications in pregnancy, a child with a broken arm, tourists injured during vacation activities, a farmer suffering a cardiac illness…Haiti Air Ambulance flies those facing illness, injury or loss of life or limb every day. When the storm clears, we will be ready. There is hope in the skies over Haiti. Those experiencing serious conditions should seek medical attention closest to where they are. Medical professionals should call +509 2812 8703 or email info@nullhaitiairambulance.org to arrange for medical transport.